Artist Suzanne Sbarge announces a new catalog of her collage paintings. Inspired by her 2017 solo exhibition, titled “Meta/Morph” at Turner Carroll Gallery in Santa Fe, New Mexico, this 10″x8″ softcover catalog features 46 full-colour reproductions and two essays. 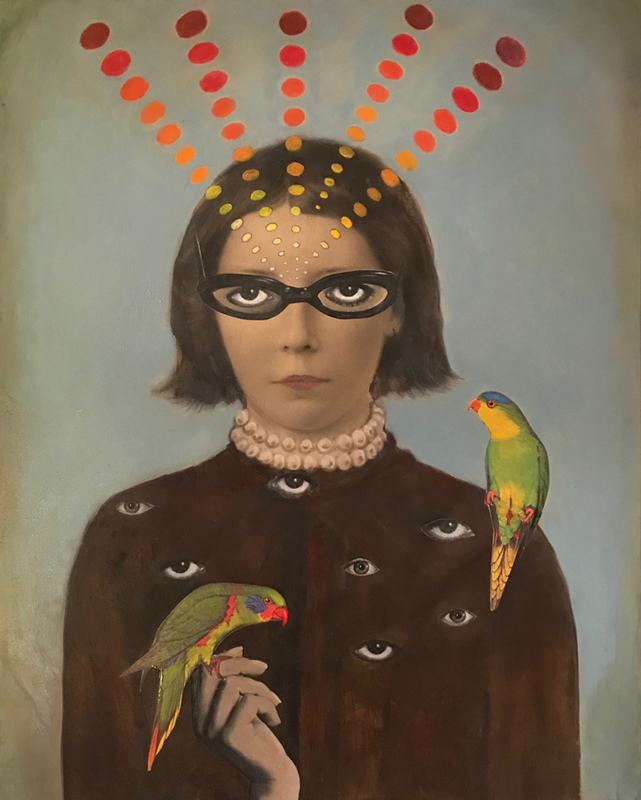 “Night Bird With Opera Glasses” by Curator Mary Anne Redding offers a poetic meditation on the artist’s work, emphasizing the roles of nature, dreams, music and mystery. 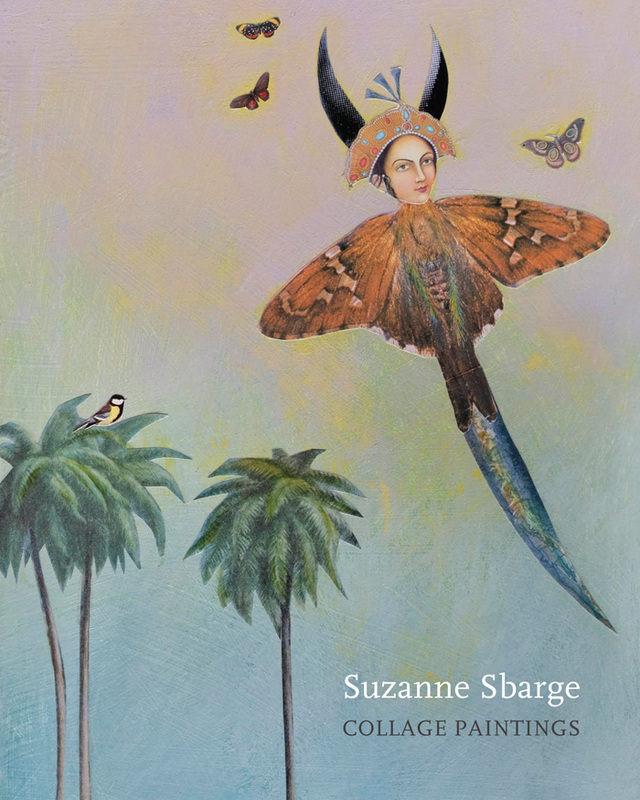 “Winged Victories: Mystical Images by Suzanne Sbarge” by journalist Jennifer Levin was written in response to the work in the “Meta/Morph” exhibition. It delves into the narrative aspect of the work, family history, humour, and the artist’s focus on the interconnectivity between humans and animals. The artworks featured merge collage and painting, with the collage compositions leading the narratives and the paint creating the environments where mysterious stories unfold. The book is available for purchase by contacting the artist via email. Click HERE.